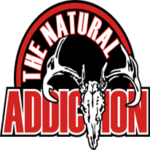 The Natural Addiction is a team of energetic people who are passionate about hunting and fishing. While we enjoy these activities, we also understand our role in managing our outdoor resources and engage in year round wildlife management, including creating the best possible habitat by providing food plots and supplements and exercising predator control. We are active in conservation groups such as Delta Waterfowl, Ducks Unlimited, National Wild Turkey Federation and others and also support outdoor based community organizations, such as Hunters for the Hungry. We’re looking forward to bringing our experiences to you, along with how to’s on what to do with your game after you’ve taken it – from cleaning to cooking to creating mounts – we’ve got you covered! Deneshia Larson lives in Georgia and was introduced to the outdoors at an early age, when her grandfather and father taught her how to hunt and fish, taking the animals while being respectful of their sacrifice. She has hunted whitetail deer, small game, waterfowl, wild hogs and alligators, bowfishes and loves fishing as well – both fresh and saltwater. She enjoys every moment spent in the outdoors. She has hunted in Georgia, Florida, South Carolina, Louisiana, New York, Missouri, Arkansas, Texas and Canada and will be expanding that list in the near future.